Ostensibly a side project for Eddie Williams, the long standing bass player in the exceedingly popular cocktail blues vein with Johnny Moore’s Three Blazers. Williams, who’d been with guitarist Moore from the start in 1944, wound up taking advantage of the splintering of that group when their featured vocalist, pianist and songwriter Charles Brown, who was the star attraction, left in late 1948 over long held grievances regarding the lack of credit Moore allowed and lack of compensation, including over writing credits. Without Brown the Three Blazers lacked their primary identity and the source of their best material and Brown quickly scored even bigger as a solo act. Williams took this opportunity to form his own group which, ironically just as Moore had done, credited himself as the leader even though he wasn’t singing and wasn’t the primary songwriter. Yet The Brown Buddies (a ghastly offensive name, no matter that Williams himself was African-American and apparently either thought of it or approved of it) didn’t follow in the same stylistic bent as The Three Blazers had. Instead, while they could and would play some cocktail blues occasionally, they headed in more of a rock direction with the inclusion of their own distinctive pianist, vocalist and songwriter Floyd Dixon who concurrently scored with a more pure blues hit on his own, as well as then staking out his claim to a piece of the rock kingdom as a solo artist. It was Dixon who made The Brown Buddies special, or even just notable, as his skills in all three departments, plus his stylistic versatility, meant that The Brown Buddies were capable of connecting with multiple approaches as well as drawing crowds at all types of venues catering to vastly different audiences. The group was rounded out by Tiny Webb on guitar and Ellis Walsh on drums, the latter of whom wrote “Saturday Night Fish Fry” which the group recorded first, but did not release until after Louis Jordan covered the demo which Walsh had presented him for that purpose and got a massive #1 hit with it. Williams’s Brown Buddies however were soon riding their own #2 hit on a song that was ironically closer to The Three Blazers work than most of the rest of their output which hewed closer to rock. Throughout this time however Williams remained with The Three Blazers as they used a variety of piano playing vocalists in a mostly failed effort to continue the success they’d enjoyed with Brown. But while that group’s records didn’t sell nearly as well as they had before they remained a good live draw and made The Brown Buddies more of a diversion for Williams rather than his primary pursuit. 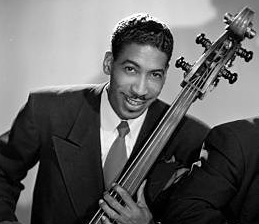 Dixon left the group after a year, though in another ironic twist, he’d wind up being recruited by Williams presumably to fill the piano and vocalist role for The Three Blazers in 1952, scoring a hit with them – albeit under his own name with them credited secondarily for their supporting role. As a result Eddie Williams and His Brown Buddies are primarily remembered, if they’re remembered at all, as much for their members higher profile gigs and successes than for their own brief, but notable, success in the rock field.